The X30 skimming system uses the latest patented grooved disc technology for recovering oil from the surface of water. The system recovered 4,670 gallons per minute (1,060 cubic meters per hour) at an average 90 percent efficiency while being officially and independently tested at the Ohmsett facility in New Jersey. The X30 is a custom-fabricated system especially designed for dedicated oil spill recovery vessels fitted with side channel systems for SEAPRO's OSRV's. 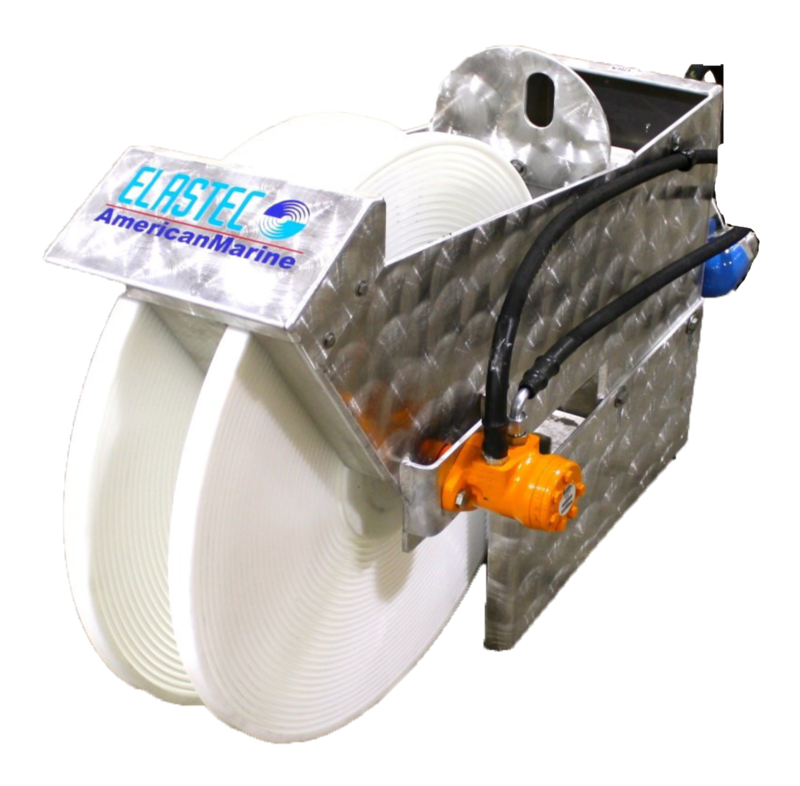 The X30 skimmer system is composed of two skimming devices (each employing two patented Elastec grooved discs), a 8 gpm E150 pump and a hose package. The system operates in conjunction with the boat’s hydraulics. The system is designed to recover liquids of light to medium viscosity, occurring in low– to high-volume concentrations. It can be used in open water or river environments,. boom is added to skimming system. are necessary for to unit to operate. Click for a copy of the operators manual.